Superb new album - digipak with 24 page booklet. 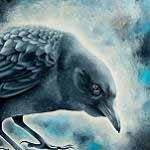 More information: Progressive rock band Big Big Train return with Folklore, their first full-length studio album since the award winning English Electric. Folklore contains nine new songs with a total running time of 68 minutes. Despite the album title, Folklore is by no means a collection of traditional-sounding folk music pieces. On Folklore, Big Big Train are reimagining and breathing new life into traditional themes, and also creating a few new ones along the way. The crafts of songwriting and storytelling beat strongly at the heart of the Big Big Train and inform every track on the new album. Folklore features the same line up (eight piece band and brass quintet) that performed three sell out shows at Kings Place in London last summer, with the addition of a string quartet. The experience of bringing this complex music to the concert stage has honed the band’s sound, making Folklore a focussed and exciting listening experience. All the hallmarks of the Big Big Train sound can be found here: powerful and emotional vocal delivery, and dramatic extended song arrangements which showcase the musical ability within the band. Folklore is an epic progressive rock tour de force.